LOS ANGELES, CALIFORNIA, UNITED STATES, April 4, 2019 /EINPresswire.com/ -- Cell therapy utilizes regenerative cells to assist the healing process in tissue injury and chronic illnesses. It holds high promises and generates tremendous excitement. But as in any new field, it is best turn to the most qualified professionals in the field before committing to treatment. Dr. Joy Kong is an exceptional Regenerative Medicine Physician and the Founder and Medical Director of Chara Biologics. 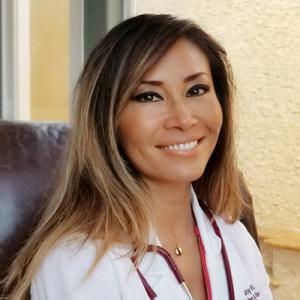 She was named the "Top Doctor of the Year in Stem Cell Therapy" in 2019. Dr. Kong graduated as a valedictorian from San Francisco State University, and obtained her doctorate degree at UCLA School of Medicine. She went on to become a triple-board certified physician, in the field of psychiatry, addiction medicine, and anti-aging & regenerative medicine. When Dr. Kong saw what stem cell therapy was able to accomplish for an autistic child, she delved into the science of stem cell therapy, and started treating patients with remarkable results. However, she also began to recognize certain lack of integrity in parts of the stem cell industry, and decided to go on a search for the best product for her patients. She later established Chara Biologics, and developed her own formula for "CharaCore," which is now the most comprehensive and potent stem cell product on the US market. “Cell therapy is one of the most exciting fields of medicine, and represents an incredibly powerful yet holistic approach,” says Dr. Kong. 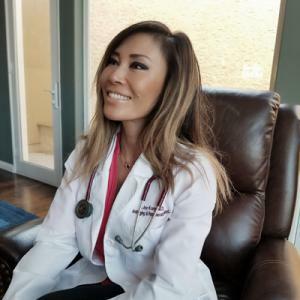 In order to help more doctors to learn about cell therapy, Dr. Kong founded American Academy of Integrative Cell Therapy, and she also generously shares her expertise with the public and physicians alike via YouTube video lectures. Dr. Kong strongly believes in conducting cell therapy with solid clinical evidence. She co-founded a re-search company with other pioneers in the field, to spearhead high quality cell therapy studies on various serious medical conditions. "Only through solid evidence, can we truly move the field of regenerative medicine forward," says Dr. Kong. CUTV News Radio will feature Dr. Joy Kong in an interview with Jim Mastern on Friday April 5th at 2 p.m. EST. and with Doug Llewelyn on Friday April 12th at 2 p.m. EST.